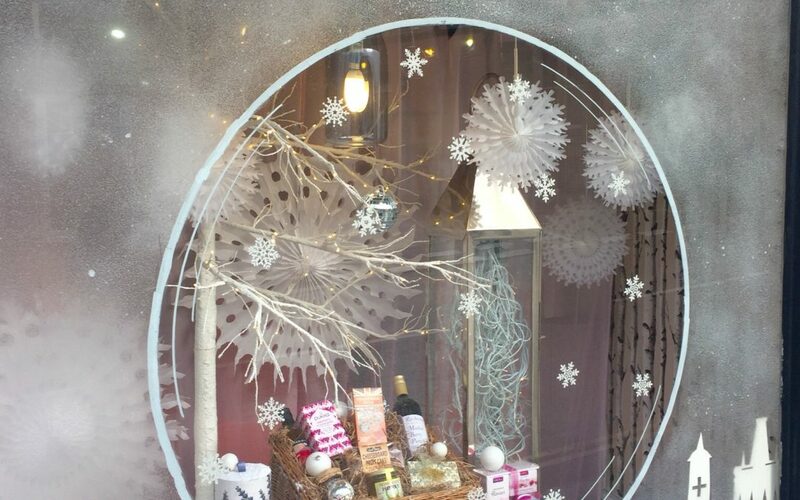 The Langport Stores makes national shortlist for best window displays in the country. The Langport Stores has been shortlisted by SaveTheHighStreet.org for some of the best window displays in the country. SaveTheHighStreet.org was set up in 2016, with the aim of supporting high streets across the country by empowering local shopkeepers. On the 26th of September this year, they launched their quest to find Britain’s Best Shop Window. The purpose was to celebrate and champion the independent high street businesses across the United Kingdom who go the extra mile with their shop window displays. The first shortlist closed on 26th October 2018. We are delighted to announce that The Langport Stores made the national shortlist. It is no great surprise. It was only a matter of time before The Langport Stores window displays were noticed beyond just Langport. After all, Jason and John Rice-Lewis’ window arrangements have been delighting us all ever since they first opened their business in Langport. The Langport Stores, situated at the heart of Langport, is a health food and delicatessen with the emphasis on local, gluten, wheat and dairy free products. Many of you will already know the shop which not only has wonderful window displays but also boasts a stunning listed interior with many original shop fittings dating back to about 1892. Apart from their wonderful windows, there are many good reasons to use this lovely Langport shop. The Langport Stores in Somerset offer a personal and friendly service. They pride themselves on sourcing the most interesting, and different foods and products that you might struggle to find elsewhere, in their lovely vintage shop, a cross between a Health Food Shop and a Delicatessen. Working with lots of local suppliers, the shop supplies locally sourced products, knowledgeable staff and a great customer experience that sets them apart from larger shops. If you want something they don’t stock, then they love nothing more than the challenge of sourcing this for you, you just need to ask. In addition, The Langport Stores have embraced reducing plastic. They have been decreasing their use of plastic and stock many alternatives to plastic items such as bamboo toothbrushes. They are carrier bag free, only using traditional brown paper sacks or Cotton Shopping Bags. In addition, did you know that they deliver FREE of charge to your home or office within 10 miles radius of the Langport Stores, for all orders over ten pounds placed online or by telephone?